Flatfoot is a painful deformity in which the natural arch of the foot collapses, bringing the entirety of the sole into complete contact with the ground. Those with flatfoot may experience difficulty walking and running, and may overpronate, which can result in other foot problems, such as shin splints, back problems and tendonitis. Usually, adult-acquired flatfoot or posterior tibial tendon dysfunction can lead to a gradual loss of the arch. The posterior tibial muscle, a deep muscle in the back of the calf, has a long tendon that extends from above the ankle and attaches to several sites around the arch of the foot. The muscle acts like a stirrup on the inside of the foot to help support the arch. The posterior tibial muscle stabilizes the arch and creates a rigid platform for walking and running. If the posterior tibial tendon becomes damaged or tears, the arch loses its stability and as a result, it collapses, causing a flatfoot. 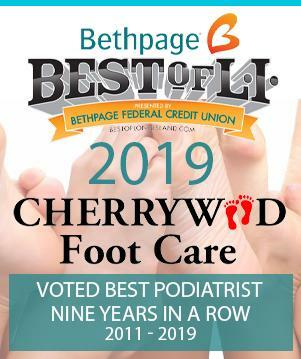 Cherrywood Foot Care has nearly three decades of experience in assessing and treating flatfoot and flatfoot-related foot issues. Surgery is often required to give the patient a more functional and stable foot.